Cartagena is one of the most beautiful cities we’ve ever visited. Full of brightly colored walls, it comes alive to the sounds of vibrant salsa. Visitors from all over the globe flock to see the UNESCO World Heritage Site, that’s considered one of South America’s most famous port cities on Colombia’s coastline. 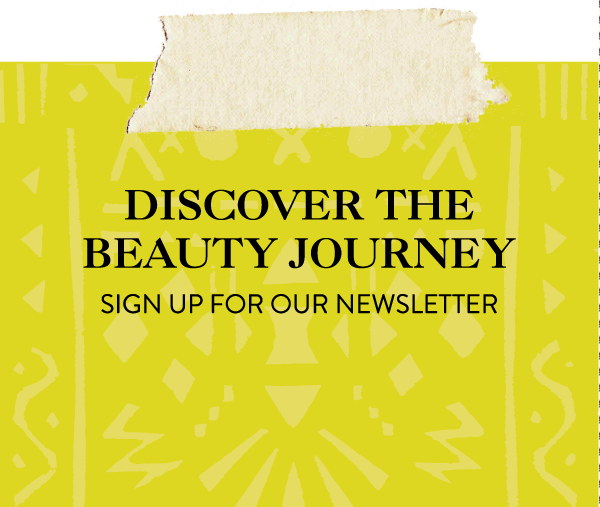 For Around the World Beauty, the ancient city became the latest destination along our journey of #BeautyExploring. 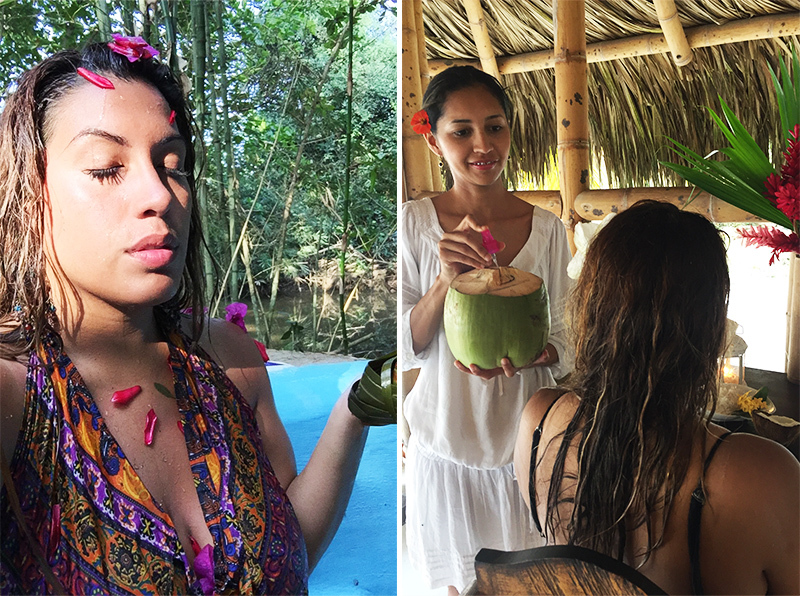 From learning to make herbal baths, to detoxifying in Colombia’s mud volcano, we combined our favorite activities with lots of beauty stops along the way. Follow along the journey and let us know when you’ll be booking your flight! The heart of the city is located within a walled city, built to protect its riches from pirates and invaders. It’s even become one of the most important ports to Spain. Today, you’ll fall in love with all the unique restaurants, balconies full of flowers, and clothing shops native to Colombia. Shop local designers, enjoy a horse tour, or satisfy your sweet tooth by choosing from dozens of flavors at one of the city’s famous ice-cream shops. Our favorite discoveries are all local, and one-of-kind. Lead by locals, with a great atmosphere. La Cevicheria is a seafood restaurant where travel pro Anthony Bourdain’s picture is hung inside as a stamp of approval. With its white and blue decor resembling the colors of the ocean, it’s a must-to stop where you can enjoy a delicious and affordable meal during your visit. For about $20.00 you can order fresh ceviche, a plate native to South America. If you get lucky, you’ll even experience a free musical performance. No need to make reservations, this is a first come first served environment. Looking for some #Beauty Ice-cream? 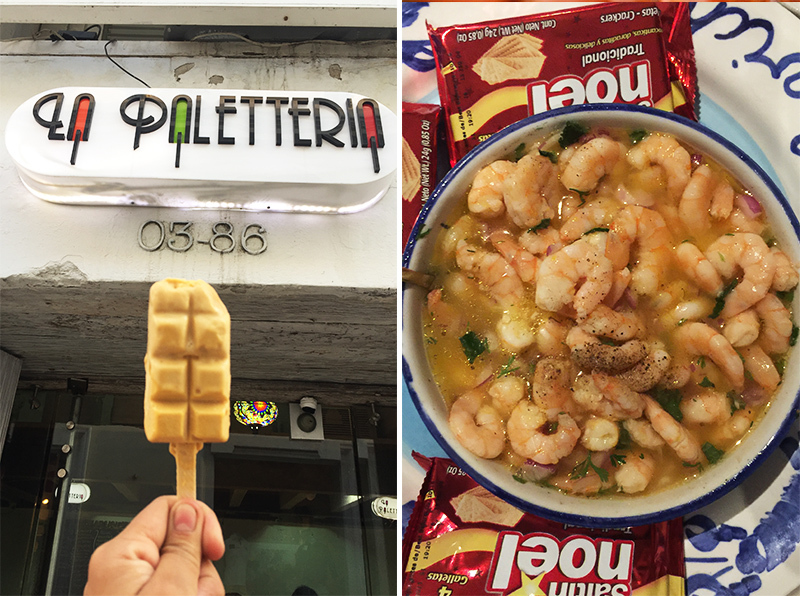 La Paletteria is full of beauty benefit ice cream choices that are 100% natural. There’s even a vino flavored one that helps promote blood circulation, along with avocado, rose, and other fun flavors that are SO worth the try. This is one of their most popular ice-cream shops. Volcan del Totumo is a healing mud-bath volcano where tourists and locals float in charcoal-gray mud filled with beauty benefits. The volcano was made of natural clay and is composed of 51 salts and minerals such as sulfur, iodine, potassium, calcium, iron, and magnesium. Locals swear by its magical exfoliation and medicinal properties, which draws vans full of visitors daily. Positioned 15 meters above sea level, the mud was formed by gases and is believed to relieve pains associated with arthritis and poor circulation. Set up an excursion with your hotel, or head over to a local hostel that will charge you less than any tour company, to create this full day adventure. 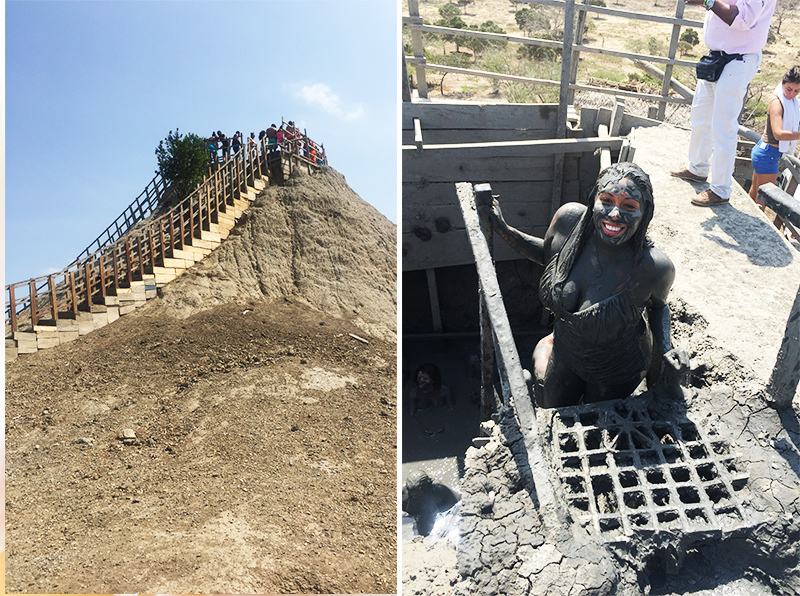 Climb down a wooden ladder and enter a bath at the bottom of the volcano to receive a mud massage by a local therapist (all male staff) for 4,000 pesos ($1). We went for it! It’s recommended to stay in for at least 15 minutes and to rub the mud into the skin. For a nearby getaway we suggest the Caribbean Coast of Playa Koralia. Known for their ocean-side spa services, we booked their most popular experience called the Bliss Therapy Escape ($174,000COP ) that combines a mud treatment, sea salt therapy, and a relaxing massage using all local ingredients. These ingredients all come from the top of Sierra Nevada, where many indigenous still reside and share their beauty secrets from the medicinal mountains. Every day in this boho gem was magical, from its organic meals, to the quiet beach front where we spent most of our mornings meditating and watching the sunset. It was literally the closest we’ve ever felt to paradise.Make sure to bring a flashlight because it gets really dark at night in the jungle and by the ocean. At Playa Koralia you can set up a beauty excursion to aguas sagradas, Spanish for sacred waters. 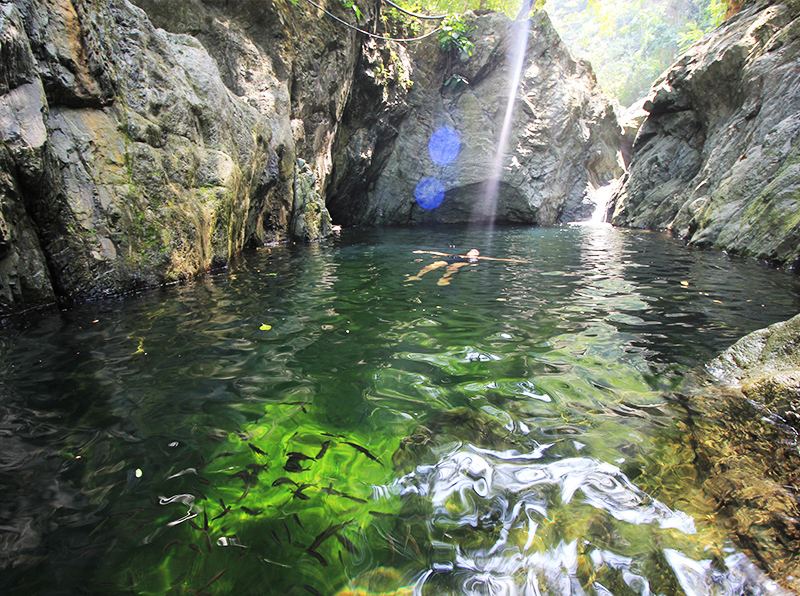 The sacred pool is made of pure waters directly from the Sierra Nevada in a secret location closed to the public. The Sierra Nevada is a mountain chain known for its magical properties separating itself from the Andes and home to Colombia’s five indigenous tribes. The water is said to purify the soul, using its minerals, and daily prayers to bring out the inner beauty. It is known to be a popular place for cleaning before a wedding, and to clear the mind. How magical is this gathering of water? A little local secret: make sure to climb all the way to the back. You’ll find hydro-therapeutic waterfalls that are known to relax the muscles and give you the best massage ever. Cartagena has become a popular destination in recent years, with safety being its main priority. This affordable destination is perfect for a girls getaway with affordable airbnb’s and even great hostels. If you want to extend your stay, visit some of Colombia’s nearby cities like Medellin and Bogota, known as the meccas of fashion and salsa for South America.